I am currently working in Los Alamos National Laboratories as a staff scientist after one year of postdoc. Before this, I completed my PhD in Data analysis and visualization from The Ohio State University in 2016. 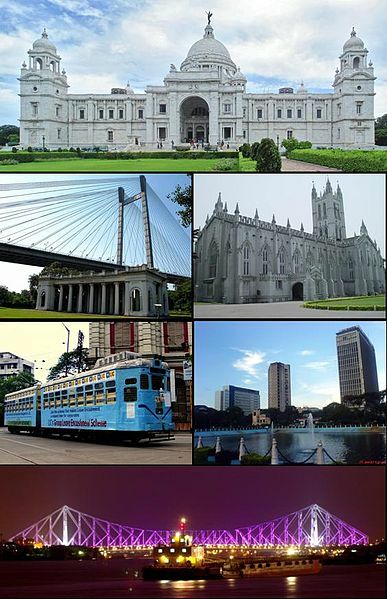 I am originally from India and I was born in Kolkata (image), a vintage city that used to be the capital of India until 1911. At the age of 5, our family moved to a beautiful small town called Chandannagar(wiki). Being a French colony before India's independence, this place was very different from Kolkata. I went to Kanailal Vidyamandir (wiki) for schooling and spent the most fun-filled 12 years of my life. I completed my undergraduate study in Computer Science and Engineering from Jadavpur University, Kolkata. After securing a job with STMicroelectronics , I then went to Greater Noida and worked for 3 years with some great minds. Then completed my PhD from OSU (Columbus,Ohio), exploring a whole new world. For past four summers (2012-2015), I went to Los Alamos National Laboratories, (Los Alamos, New Mexico) for internship where I am currently working. Situated at 7200 ft from the sea level, Los Alamos is a very beautiful small city away from the hustles and bustles of other big cities. Me and my wife love this place a lot. I love sports, all kinds of them. I mostly play football(soccer), cricket, badminton, table-tennis, tennis and what not. In club football, I am supporting Chelsea since 1998. They won the EPL this year (2016-2017 season) emphatically. Here is a quick link to the fixtures and upcoming games. In the international arena, I am supporting Brazil since the 94 world cup.